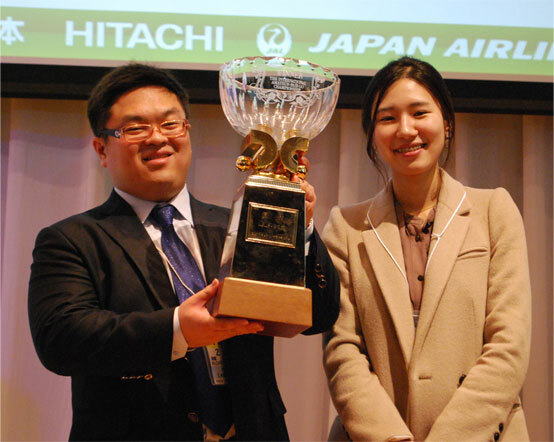 The Korean team of Kim HeeSue and Lee Hoseung (photo) won the 22nd annual International Amateur Pair Go Championships, held November 19-20 in Tokyo. The U.S. team — Roxanne Tam and Yuan Zhou (left) — finished 25th place with a 2-3 record. The U.S. pair “are disappointed, but determined to come back someday and produce a better result,” reports AGA President Allan Abramson, who was a guest official at the event. Click here for results and game records.